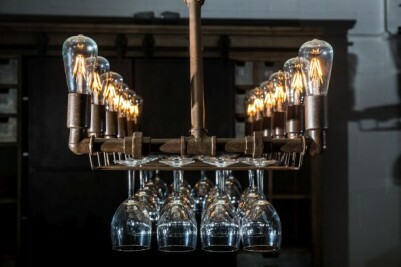 This unusual, glass holder chandelier is a stunning piece of industrial style furniture from our new lighting collection. 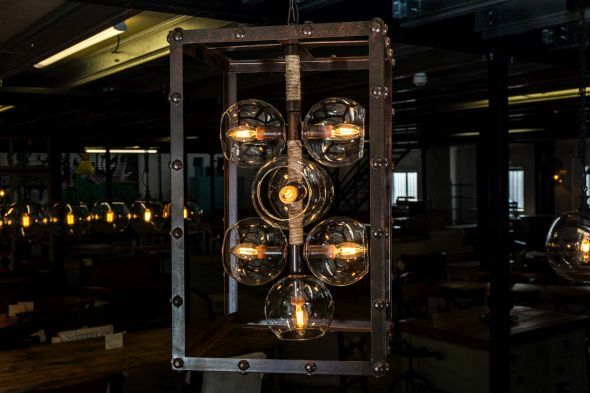 This ceiling light has a dark copper/bronze colouring, with an aged finish – giving the light an authentic look. 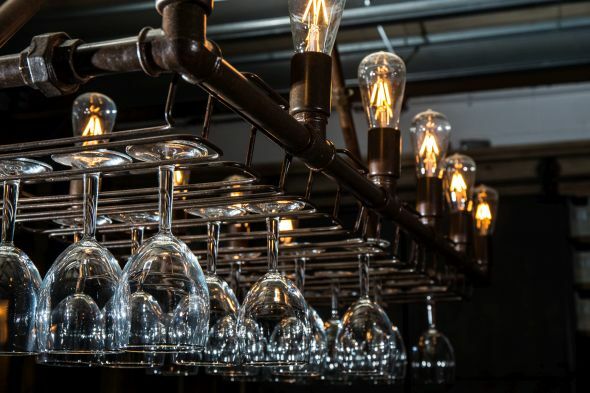 With its steel pipework frame, this is an extremely stylish piece for any large bar or restaurant. The large light has space for 12 bulbs and numerous wine glasses. 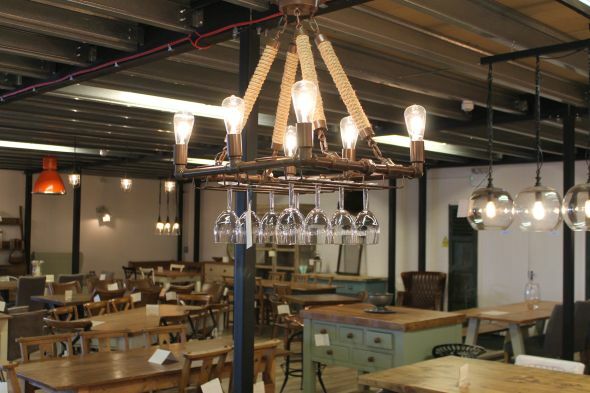 We also have a smaller glass holder chandelier, which has a lovely rope detail and space for six bulbs – view our other listings for more information. As this is a large item, it must be delivered via a courier, with the minimum charge being £45.00. You are also welcome to collect from our premises in Staffordshire. 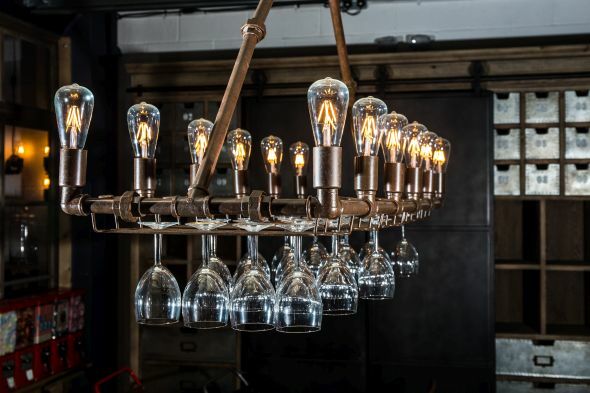 We do recommend that this light is professionally fitted by a qualified electrician. The price is for the glass holder chandelier only. Bulbs and wine glasses are not included. Please note, measurements are of the light fitting only. Please allow additional space for wine glasses and bulbs. 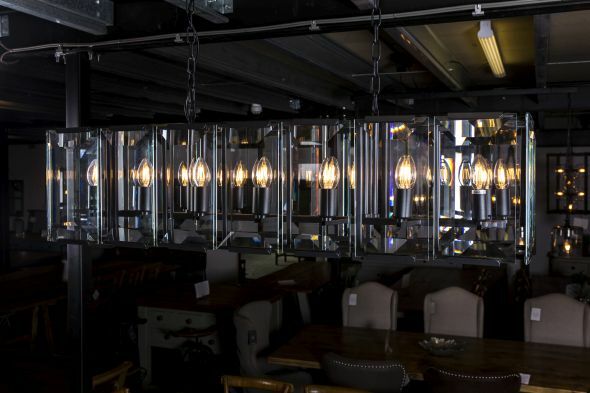 We have a large range of pipework wall and ceiling lights available. Browse our website to see the full range.